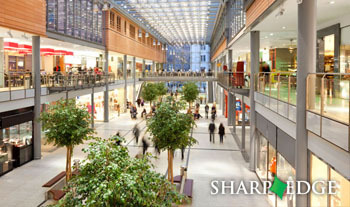 Sharp Edge Security offer high quality retail security guard services throughout the retail sector the length and breadth of Ireland. With over 30 years of experience in the retail sector we are uniquely able to deliver a range of high quality retail security guard services. Our expertise is uniquely tailored to the Shopping Centre and Retail Sector in Ireland. We have a large network of guards in cities and towns throughout Ireland. This system allows all guards to be in radio contact with stores in the direct area and offers a vastly improved service with first hand knowledge of targeted shoplifting. We specialise in having a genuine understanding of your business needs with fully integrated security and support services. The Private Security Authority was established pursuant to the Private Security Services Act 2004, and is the statutory body with responsibility for licensing and regulating the private security industry in Ireland. Sharp Edge Security, Cleaning & Facilities Management Ltd.
First Floor, Castlegate, Bridewell Lane, Mallow, Co. Cork.